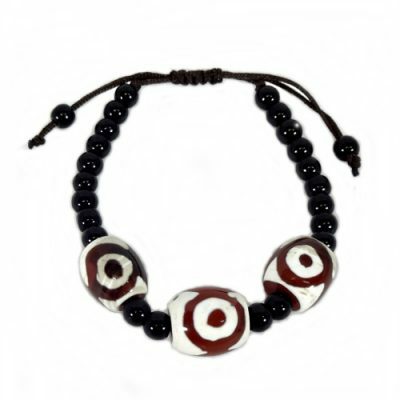 Legendary etched agate eye beads. Believed to be created by the Gods. Brings good luck, wards off evil and protects wearers from harm. Easily adjustable bracelet to tighten or loosen.